I posted earlier about my basic muffin recipe and how I add to it or modify it depending on what ingredients have or what I feel like eating. I thought I would show you another variation which I made the other day so you can see how easy it is to make your own flavours. I love the combo of almond and orange; it’s yummy but not too heavy. And I’m of the opinion that adding chocolate always makes things better! I have repeated the basic recipe below with the modifications underneath. I love this recipe because it is so quick to do. Preheat the oven to 180°C. Put all the dry ingredients into a large bowl. Measure the oil into your mug or measuring jug and add the egg. Top up with the milk up to make 300ml of liquid ingredients. Add this to the dry ingredients and stir to combine. Now add whatever ingredients you are modifying the recipe with, put into cases and bake for 25mins. I modified my basic recipe by substituting half a mug of flour (about 90g) for ¾ mug of ground almonds (about 90g). 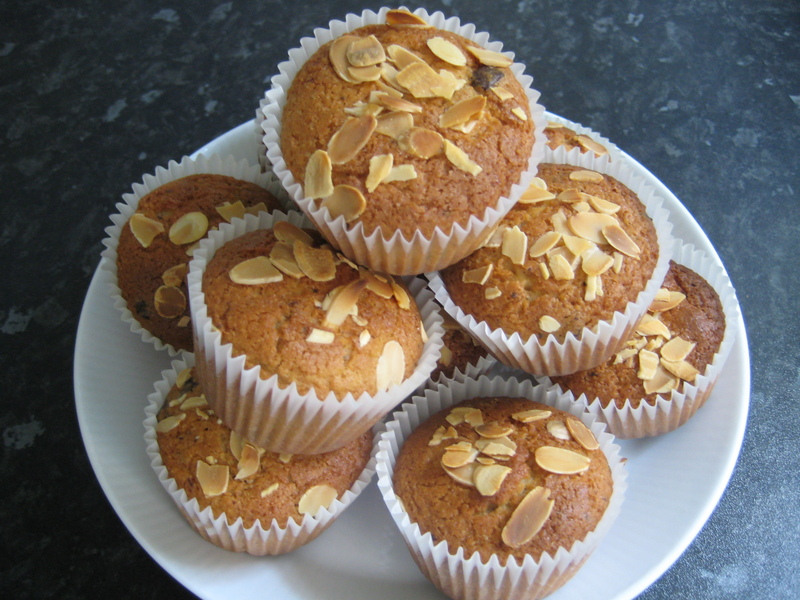 To flavour the muffins I added 1 tsp almond extract and 2 tsp orange extract. I added 60 g dark chocolate cut into chunks but it would have been better with more like 75g, I was just too lazy to open a new packet! 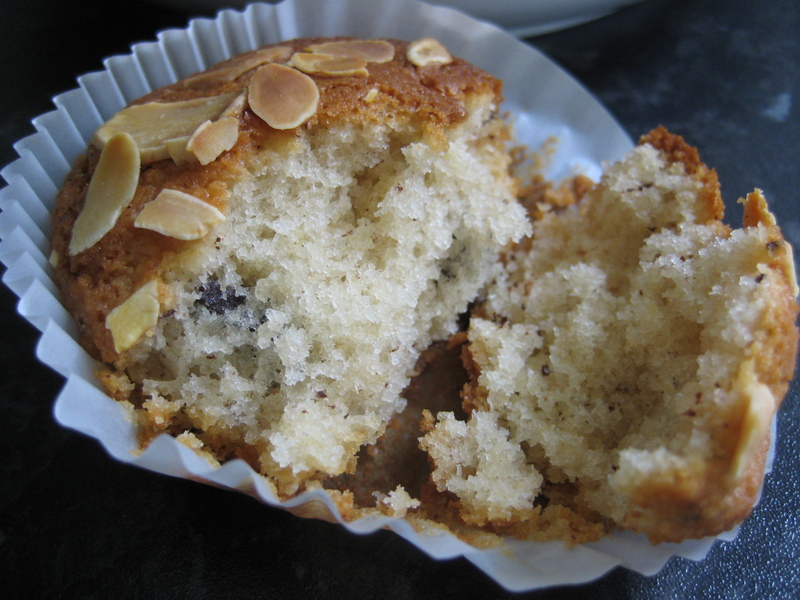 Once in the cases I topped off the muffins with a sprinkling of flaked almonds. If you have any interesting variations on this yourself let me know as I am always looking for new combinations to try!